AKIPRESS.COM - Lonely Planet named Kyrgyzstan one of the best countries to travel to in 2019. 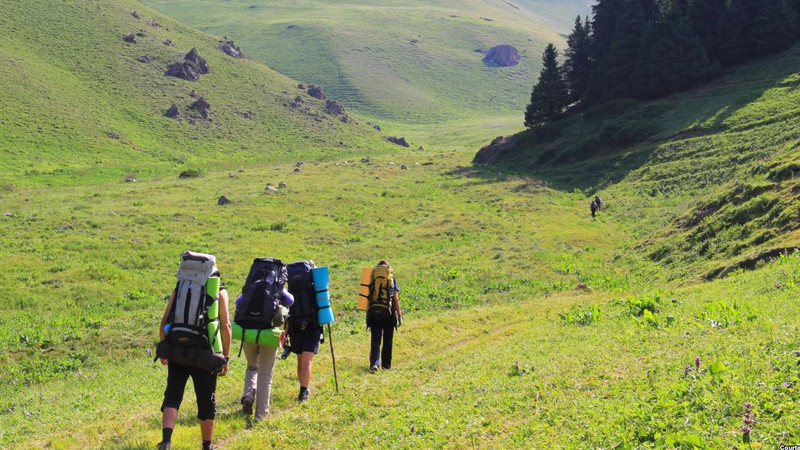 Kyrgyzstan is “a nation defined by its natural beauty. Joyously unspoilt mountainscapes, stark craggy ridges and rolling jailoos (summer pastures) are brought to life by semi-nomadic, yurt-dwelling shepherds,” it wrote. Yurt, a portable, round tent covered with skins or felt and used as a dwelling by nomads in Kyrgyzstan and other parts of Central Asia, probably is the most associated with the nation thing. 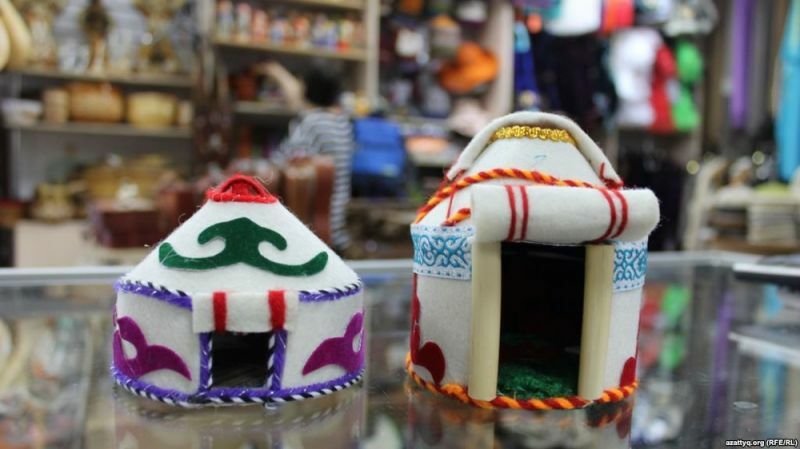 Yurt-shaped souvenir or a yurt-shaped jewelry box will remind you of Kyrgyzstan and become a good gift for your friends. 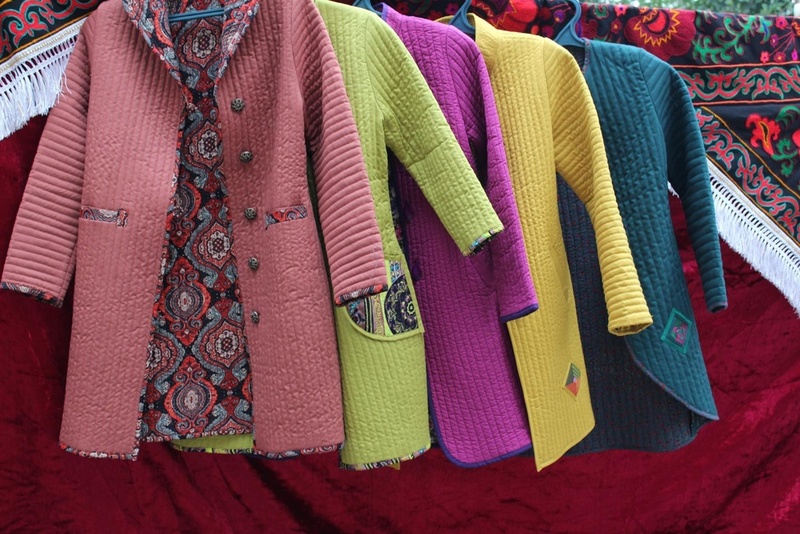 It is believed that the felt made in Kyrgyzstan is the best in the world. Tourists often take home a variety of interior items made of felt from Kyrgyzstan and we advise you to purchase a couple of stylish things for yourself, too. You can buy such products at both shopping malls and bazaars. The price starts from 300 soms ($4). 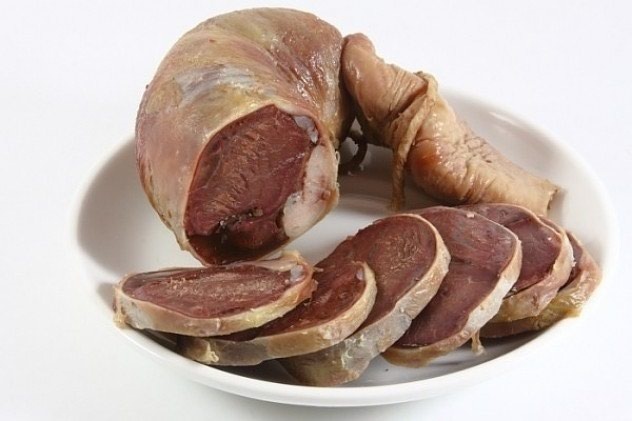 This is a Kyrgyz sausage made from horse meat. 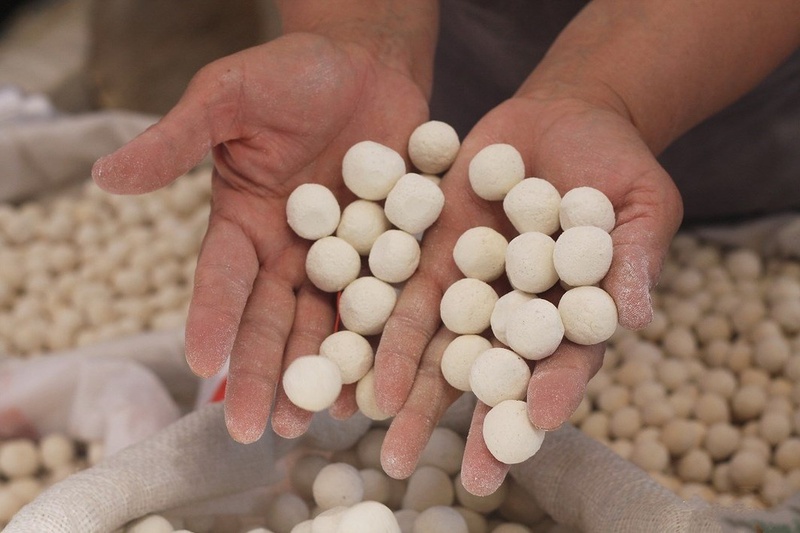 Chuchuk has long been considered as the most delicious delicacy of Kyrgyz people. Chuchuk is usually cooked on festive holidays. This delicacy is prepared dried, boiled or smoked. Cost starts from 500 soms ($7). This is a local natural salty snack, which can be found in every grocery store. Kurut is made of fermented dried and pressed cow milk mixed with salt, seasonings and sometimes honey. It is stored for a very long time, so you can safely take this treat home. 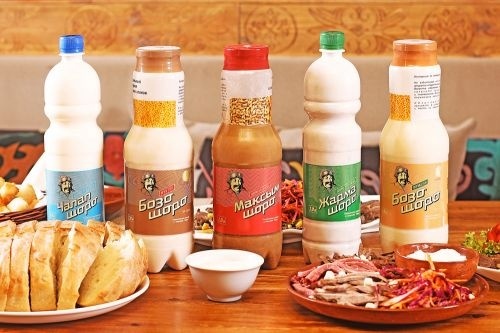 Maksim is a wheat based drink that is popular in the summer. Bozo is made from boiled, fermented millet grains. Kymyz is fermented mare’s milk. All these drinks are available in bottles in every grocery store. Price ranges 50-100 soms (about $1). 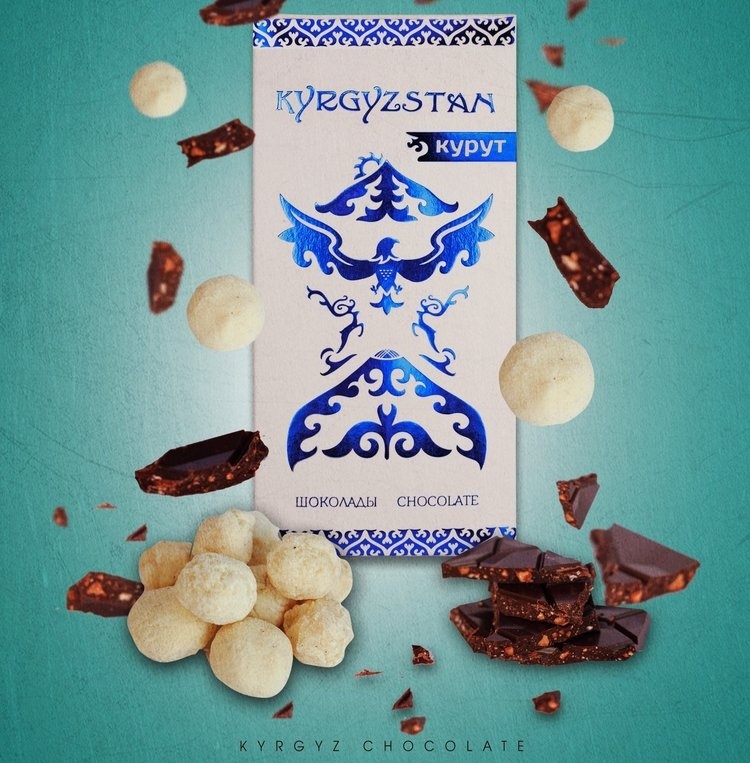 Kyrgyzstan chocolate is made of natural cocoa products, that explains it's high price of 120 soms per 1 chocolate bar. 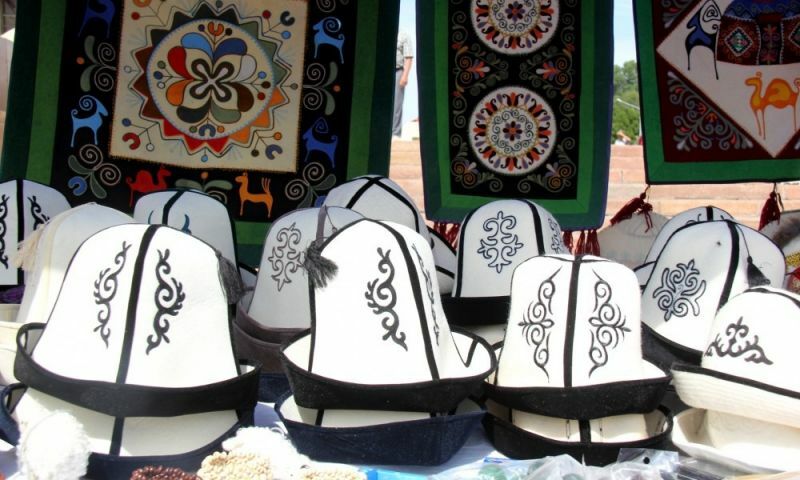 The package has a number of traditional Kyrgyz symbols on it. Kyrgyz Cognac is the local brand. It comes in several varieties, including aged for three, five or seven years. The cost of 1 bottle starts from 600 soms or $8.5. This drink is made from a variety of local herbs and spices. 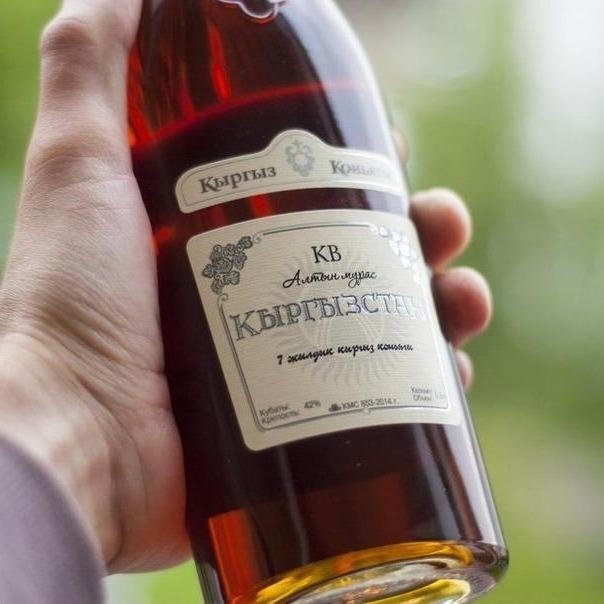 Slightly alcoholic, it is mixed with coffee, tea, or even vodka, and is claimed to be therapeutic for treating colds, coughs, and other ailments. Cost: 300 soms or $4. This board game is very popular in Kyrgyzstan and you can find the variety of it here: wood, leather, stone. The backgammon board is often decorated with folk ornament. There is a wide choice of bracelets, earrings, and other jewelry made of gold, silver and precious stones in Kyrgyzstan. 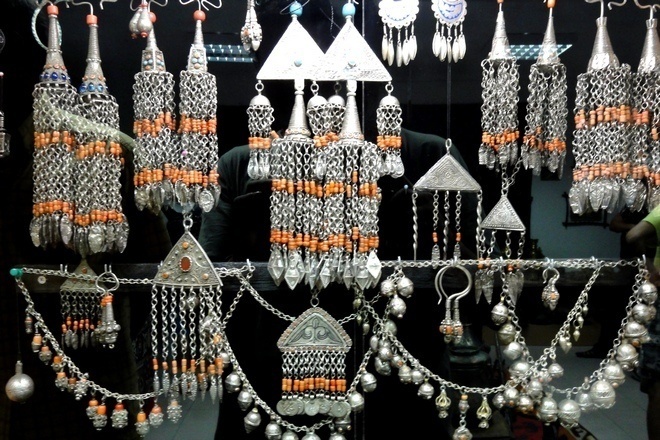 Kyrgyz jewelry can be found in stores, shopping malls, and ever bazaars. Price ranges.